This section is for use to help find youself around the website and answer some questions based on the navigation of the site. Please note that each web browser displays content differently, even though there are standards. 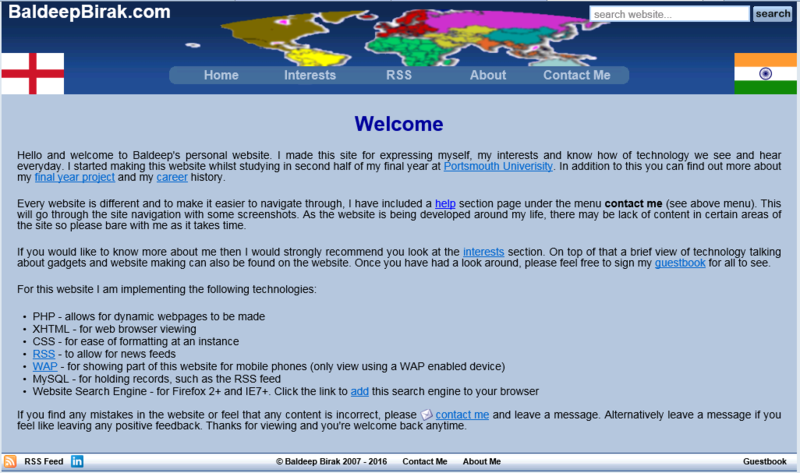 I have talked about the different browsers in the website section. The actual homepage looks like this. I have tested this in the main website browsers, talked about here. If it displays vastly different, first of all I would ask you to use a web browser that is up to date, secure and complie's with standards. This means using Opera, Safari and even Firefox. If you can view the website ok, there is another image that shows the menu structure. The menu has been tested on the 4 most common browsers around and works. It also works on Konqueror and Sea Monkey (for Linux users). Below is a picture of the menu system. If you have any questions, please don't be afraid to ask. I have made a contact form. Please fill it in fully with you email address and I will reply back as soon as possible. Thanks for reading and you're welcome back any time.